Dubai, UAE, June 13, 2018: It’s that time of the year when festivity is in full swing, families celebrate, feast and children look forward to the excitement of receiving Eidiya. This Eid Al-Fitr, Emaar Entertainment is bringing a host of exciting activities and entertainment for the whole family starting from June 14. Each Emaar Entertainment leisure attraction has something different in store to celebrate the occasion. KidZania® Dubai will host a special Eid market for all the guests to explore and indulge in some festive shopping. The plaza will be decorated in an Eid theme with beautiful Eid colors and guests can avail upto 50% discount on Arabic items from the Souk. Dubai Aquarium & Underwater Zoo will be running a special UAE resident offer with a standard ticket available for AED 90 instead AED 120. This Eid, Reel Cinemas will screen Moustapha Akkad’s The Message, in a never seen before 4K digital restoration of the movie for its 40th anniversary. To make the season even more entertaining for the whole family, special extended Eid weekend timings have been introduced including late night shows: The Dubai Mall: 10am to 3:30am (last show starts); Dubai Marina Mall: 10am to 1:30am (last show starts); and Jebel Ali Recreation Club: 11am to 12midnight (last show starts). 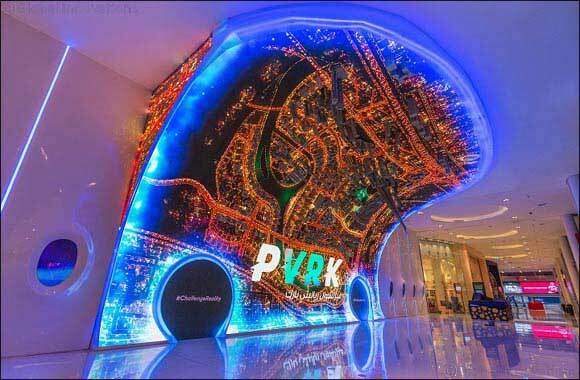 Families can also look forward to some extraordinary virtual reality experiences as the VR Park has introduced a special discounted ticket priced at AED 200 that includes unlimited gameplay for one day. The package can be availed at the guest service counters at VR Park.